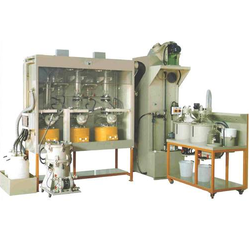 Leading Manufacturer of gold refining machines from Mumbai. We are prominent manufacturers, retailers, and exporters of supreme quality Gold Refining Machines. Manufactured as per the industry set norms and regulations, the offered machines are admired for their user-friendly operations, low maintenance, minimum power consumption and longer service life. Offered by us at industry leading prices, the offered machines are highly appreciated among our customers. 1 kg, 2kg, 5 kg.